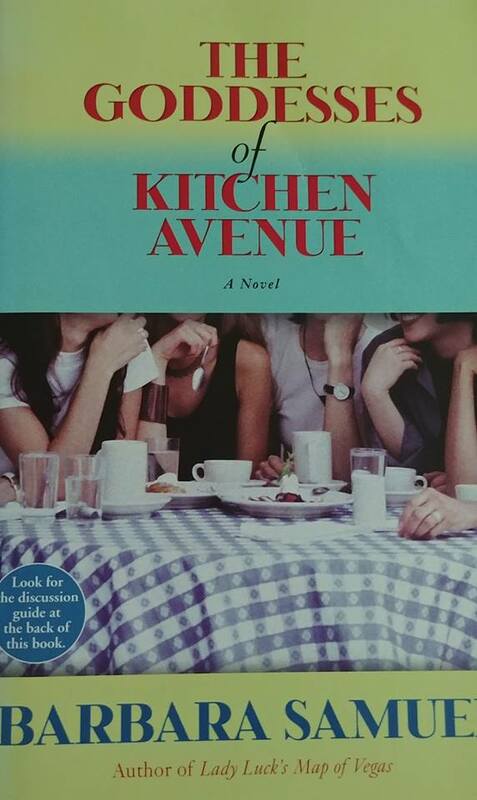 April’s book selection is The Goddesses of Kitchen Avenue by Barbara Samuel. Enchanting and evocative, this book selection suggested by beloved friend (and librarian) Lara Berry, reminds us about the importance of creating community and building relationships that transcend our circumstances. 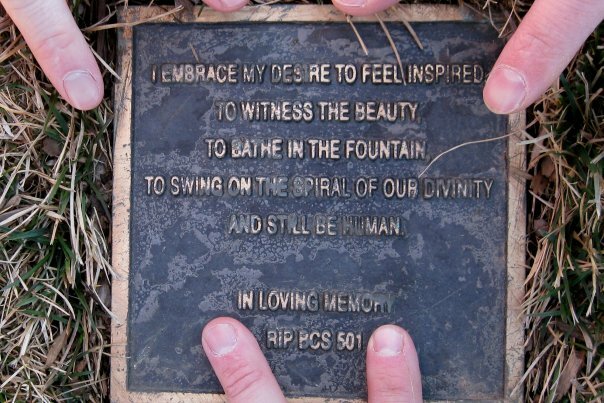 This is one of the inscriptions on Brandon’s plaque (abridged lyrics from Tool’s Lateralus). Fourteen years ago today he left Earth. His memory ever serves as reminder of how to “live like you are dying” – because, anyway you look at it, we all are. 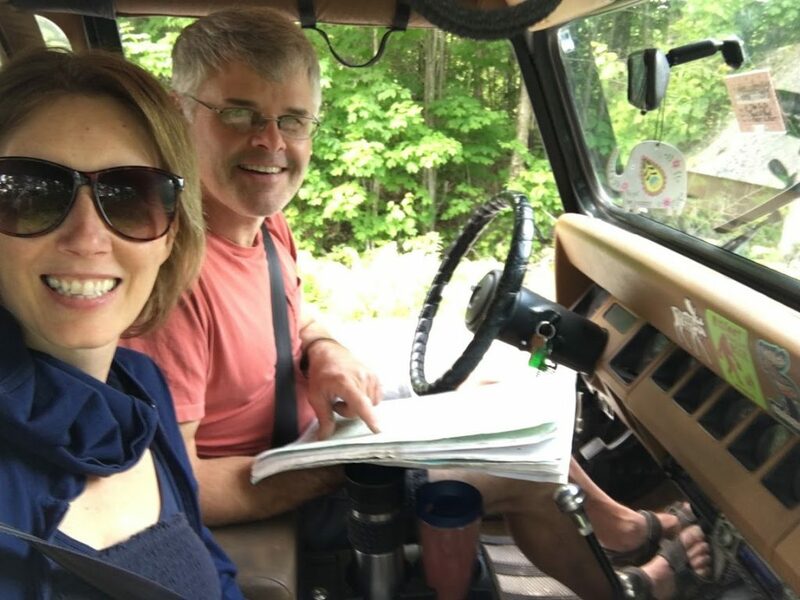 UU minister and former UUA president, Peter Morales announced today that he started a new blog. He says his blog is about big historic and cultural trends that affect each of us. One of his first entries is about Loneliness and our human need for connection and for community. 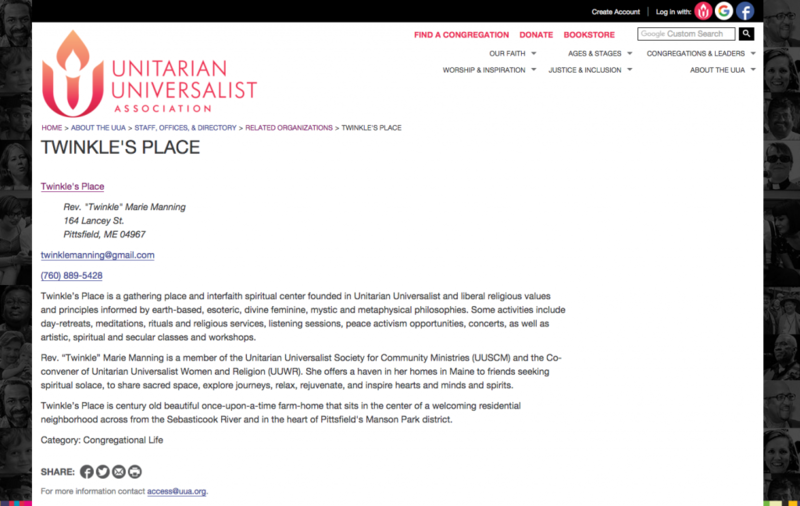 It’s official – “Twinkle’s Place” is an approved UUA Related Organization for Congregational Life!! As an interfaith minister my path has not been conventional, but it has been deeply blessed. I am grateful to be welcomed into our UU faith community and have my unique ministries be given a place of belonging. 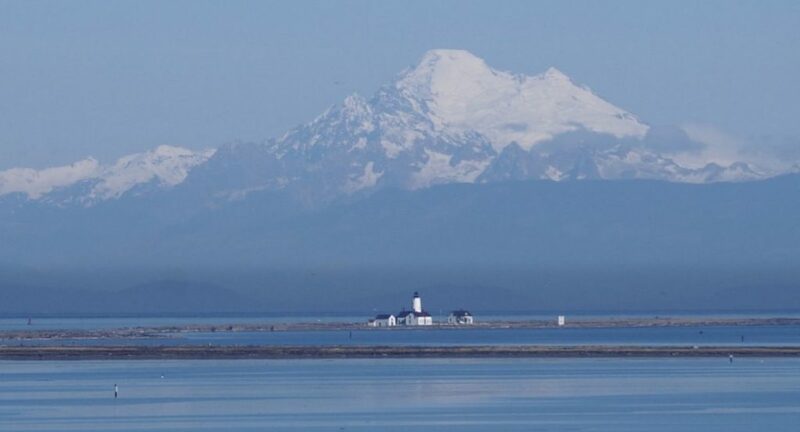 Join us in Pittsfield and on Moosehead Lake!! Wishing everyone a very happy Valentine’s Day! Lesson about the essence of courage: When vulnerable, instead of resisting, open. A revolutionary action of staying. There exists a place in our hearts where intimacy has no limit and love has no barrier. But I believe that place is sacred and is meant to be accessed by-invitation-only. On Sunday February 10th, we will explore the kind of love that is trusted, safe and secure. Love that is free to blossom and grow. February brings with it reminders of what Love can bring to our lives. Without a doubt I can tell you, if Love is what you want, give yourself over to Love….and Love will find you!